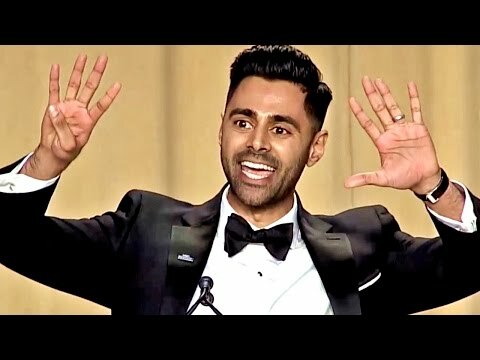 Hasan Minhaj's full comedy routine at the 2017 White House Correspondents' Dinner. The comedian told one blistering joke after another about the sitting President of the United States, Donald Trump, and the media that covers him. Given this moment in history, it will go down as one of the bravest, and most timely, comedic performances in the dinner's history.